Sometimes I’ll be watching the news or listening to the radio and I will be reminded that I am on the fringe of society. It isn’t just the education, nor the largish brain, nor my desire to have standards, no it is the fact that apparently I’m un-Australian. You see, I don’t like Cold Chisel. To dislike Cold Chisel is un-Australian. As a result I feel a little like Peter Griffin does about The Godfather. Australians like to heap superlatives upon Cold Chisel and other “hard rock” bands. They like to hear them on the radio because it reminds them of the time they got drunk in that pub before drinking became illegal. Sorry, not illegal, the driving home afterwards part was what became illegal. Cold Chisel have come out of retirement to tour again, something that made all of the news channels. Why? It is a chance for Aussies to get in touch with their inner bogan. 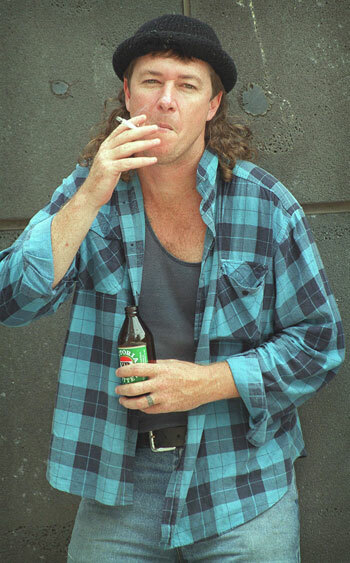 For non-Aussies, a bogan is what you get when you cross flannelette shirts with mullets and cigarettes. Deep down there is a bogan inside every Australian just trying to get out. My inner bogan allows me to wear tracksuit pants around the house and feel unashamed to listen to AC/DC whilst playing air-guitar. Fortunately my inner bogan stops short of Cold Chisel fandom. That’s right, my inner bogan has class. We have different terms for bogans all over the world: white trash, redneck, guido, hoser, skid, chav, ned, jejemon, scanger, ah beng, raggare, naco, dres, Paris Hilton; but we recognise the traits. Suffice to say, we all need to keep our inner bogan in check. If we don’t then the terrorists have won.